While some research suggests that small amounts of alcohol may be harmless during pregnancy, a new report from a leading U.S. pediatricians' group warns that drinking is never a good idea for expectant moms. "The research suggests that the smartest choice for women who are pregnant is to just abstain from alcohol completely," Dr. Janet Williams, a professor of pediatrics at the University of Texas Health Science Center and co-author of the new report from the American Academy of Pediatrics (AAP), said in a statement. According to the paper, published online today in the journal Pediatrics, "there is no safe trimester to drink alcohol" and "all forms of alcohol, such as beer, wine, and liquor pose similar risk." The authors report that prenatal exposure to alcohol is the leading preventable cause of birth defects and intellectual and neurodevelopmental disabilities in children. Known as fetal alcohol spectrum disorders, these conditions are lifelong and can include structural or functional problems with the brain, heart, bones and spine, kidneys, vision and hearing. Prenatal alcohol exposure is also associated with higher incidence of attention-deficit/hyperactivity disorder and specific learning disabilities such as difficulties with mathematics and language, visual-spatial functioning, information processing and memory skills. "What we are finding now is that even small amounts of alcohol can increase the risk of fetal alcohol syndrome," Dr. Jennifer Wu, an OB-GYN at Lenox Hill Hospital in New York who was not involved in the report, told CBS News. "A baby's brain and central nervous system is exquisitely vulnerable to what we call teratogens -- things that can cause damage -- and alcohol is one of them." While early recognition and intervention can improve a child's health, the researchers say a lack of uniformly accepted diagnostic criteria for fetal alcohol-related disorders limits these efforts. "Even though fetal alcohol spectrum disorders are the most commonly identifiable causes of developmental delays and intellectual disabilities, they remain significantly under-recognized," Williams said. Some studies have found children suffer no measurable harm if mothers consume one or two drinks a week while pregnant. But the Pediatrics report notes that there is no consensus on what level of drinking may be considered safe. "Harmful effects are well documented related to moderate or greater [prenatal alcohol exposure] and to binge drinking," the report says. 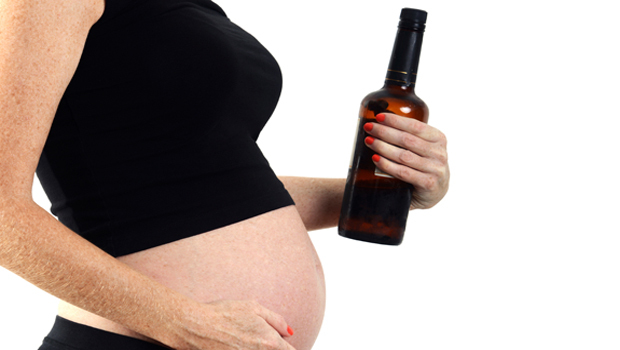 "The potential for fetal harm increases as maternal alcohol consumption rises." A recent survey from the Centers for Disease Control and Prevention found that one in 10 women in the United States consumes alcohol while pregnant and 3 percent have admitted to binge drinking - consuming four or more alcoholic drinks at a time. Of course, some women may inadvertently drink alcohol when they do not realize they are pregnant. As a precaution, experts recommend taking some steps to ensure this doesn't happen. "Women of childbearing age who drink alcohol should consider their pattern of drinking. For example, avoid binge drinking and avoid pregnancy as long as they are drinking. If pregnancy is planned, then alcohol can be discontinued," Christina Chambers, a professor of pediatrics at the Center for Better Beginnings at the University of California, San Diego told HealthDay. Chambers said she hopes the new AAP report "will lead to less stigma associated with [fetal alcohol spectrum disorders] and to more access to and uptake of prevention and treatment services."